The first and arguably most crucial factor is to have active executive sponsorship for the program. This may take a bit of internal selling, helping executives understand and appreciate the numerous benefits of coaching and the strong ROI it can produce. The objectives of the coaching program should tie directly to a business priority (grow sales, increase margins, reduce turn-over, etc.) so that it becomes linked to the business strategy. Having a strong executive sponsor(s) who can kick-off the program, communicate the value and support the program throughout will be critical to success. Find this person. People generally won’t change their behavior without a compelling reason to do so. Helping Front Line Sales Managers understand the value that coaching can provide for themselves and their team is critical. Creating supporting materials to show how coaching can increase the performance of their teams, develop their leadership skills and potentially result in a credential or certification is essential to “selling” the coaching program to the managers. This answers the “What’s in it for me?” (WIIFM) question that will be necessary to get their buy-in and commitment to change. Engaging, role-play-based skills training is important to ensure participants have a chance to practice the coaching skills in a safe, constructive environment. There should be an element of coaching role plays in any type of sales coaching training program. If they’re not given a chance to practice the skills in the classroom, it means they'll be practicing these skills on your expensive, coveted sales resources, and this can be an expensive way to train if they get it wrong. After the initial training, there needs to be a plan for reinforcement of the training, to include periodic check-ins and follow-up to review key concepts, answer questions, and troubleshoot problems. The schedule for these sessions should be communicated at the time of the initial training, so participants know what's expected of them after the sessions. The most successful coaching programs are the ones where there is ongoing field support for the participants after the training. This may include master trainers/coaches conducting field observation and providing feedback, or simply reviewing the coaching visit reports and providing feedback to the coaches. Some amount of oversight, support and ongoing coaching of the coaches is important to ensure the skills are being practiced and behaviors are changing in the field. 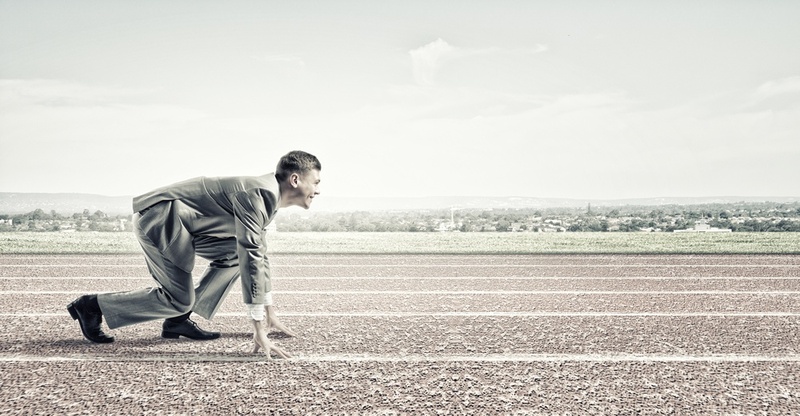 One of the components that's often missed in a Sales Coaching program is a clear cadence and expectations for when and how coaching will happen after the training. Too often managers are left to figure it out or conduct coaching when they have time, which unfortunately is rarely successful. As part of the training, a coaching implementation guide should be produced that tells managers how often (at a minimum) they're expected to coach their teams, and what evidence will be collected (via a form, tool or online application) to show that the coaching occurred. Guiding the manager on how much coaching they should be doing will allow them to prioritize this accordingly. Ideally, the leadership team should communicate the message on an ongoing basis that coaching is important, and they expect it to happen. The final piece of the puzzle to help ensure a successful coaching program implementation is to ensure that there is a mechanism for tracking and measuring that coaching is occurring. There needs to be a way of creating visibility into how much coaching is happening and where managers may be missing the mark. This can be as simple as manually tracking the field visit reports or a much more sophisticated online program that creates a dashboard of coaching visits, key priorities, and follow-up actions. Whatever the case may be, there needs to be a way to ensure that quality coaching conversations are happening after the training. Evidence of coaching is also necessary if the organization is going to implement a coaching certification program, which typically includes training, skill application, knowledge checks, and evidence of coaching execution in the field. 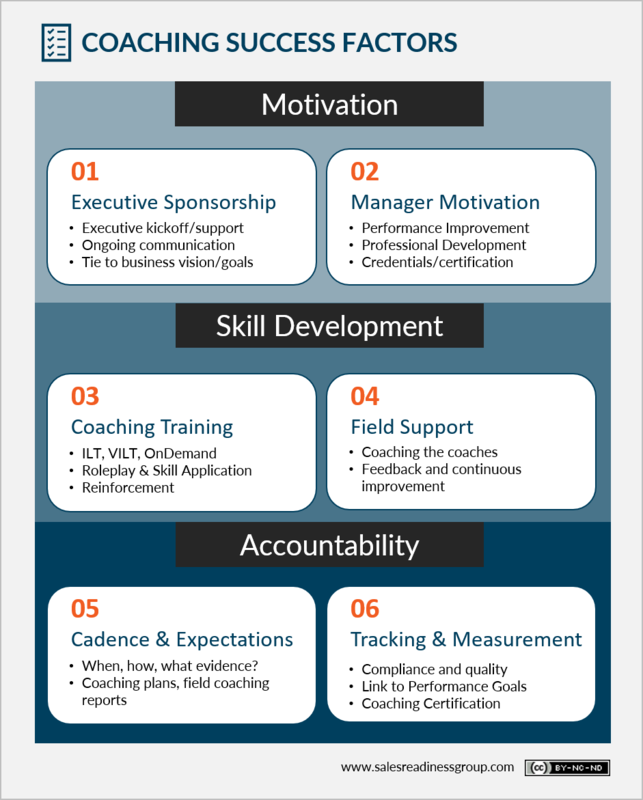 Creating a culture of sales coaching in an organization is difficult and can take months to years to successfully implement, but the benefits are significant. By following these key factors, it's possible to increase the chances of success and improve the return on investment.